The value additives of tokenization are often overlooked. Presently, tokenization is primarily used to integrate a token economy into software or distribution networks. The tokens trading on secondary markets have shown the amount of liquidity tokenization can bring to the value of an asset. However, the present state of the blockchain space has not delved into the full potential of tokenization. Some of the largest asset classes in the world, such as real estate or alternative investments in collectibles or private equity, are not only highly illiquid, but also inaccessible to the masses. This reality has created the ever-widening wealth gap as most people do not have access to the largest asset classes or investment opportunities. Real estate is the one asset that has constantly appreciated through history and alternative investments, like Art & Collectibles, appreciated even in 2018, a year in which most assets and equity markets witnessed a slump. And yet, most people have access to ownership in neither real estate or alternative assets. There is no single solution to the wealth gap and the lack of equal opportunity, but tokenization does provide a means to mitigate the problem as it can create highly liquid and accessible markets for virtually any asset. Most developed countries have established financial institutions and infrastructure. While these systems benefit those with a pre-existing wealth, they have become well-integrated into the economy and thus can be difficult to mould into better structures. Thus, a new fintech startup, Mobu, is taking the opportunity to leverage blockchain technology to build the next generation financial infrastructure in South Africa. As the region’s existing financial system has not developed to the scale of its American or European counter parts, the financial operations in the country are nimble enough to adopt new integrations. Mobu has acquired a stake in a functioning stock exchange in the country and this allows it to have the legal and political access needed to work with regulators to get proper frameworks approved to for security token offerings (STOs). The key resistance to STOs remains that while they are highly valuable, most of the analysis is theoretical. Existing STO platforms themselves only issued utility tokens. Mobu, however, is launching the shift to STOs with its own actions. The platform is issuing security tokens that give rights previously accessible only with traditional equity ownership: voting rights, dividends, rights to assets at liquidation, etc. New developments are not established with mere speculation and thus the platform’s founders are leading the shift by exemplifying the potential of security tokens through the success of their own STO. While ICOs exploded in 2018, the first ICO took place back in 2013 and Ethereum’s token sale didn’t take place until 2014. ICOs took momentum after the success of Ethereum. 2017 saw the initial heavy flow of ICOs; the format laid by these token sales paved a path for the massive onslaught of token offerings in 2018. 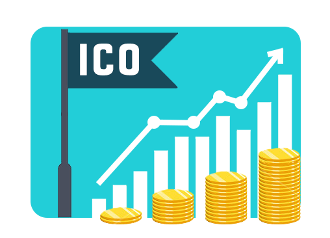 The reason ICOs are so easy to launch is that there are platform that enables anyone to launch the token, plenty of agencies that provide support for the sale of that token, and myriad examples of successful token sales that serve as templates for newer ICOs. Mobu aims to deliver the same resources for STOs. Mobu is creating the technology to launch a security token, a means to connect to agencies and service providers that can support the sale and legal compliance of the sale of the token, and examples of successful token sales that will serve as templates for future STOS. While the offering of a token launch platform and resource connection network is a key part of Mobu, the differentiating factor is that Mobu itself aims to tokenize various assets in order to display the feasibility and value of security token offerings. While other STO platforms aim to wait for security token adoption, Mobu is fueling it. The key benefit of a platform is that it must be developed and maintained and others utilize it; however, the drawback is that without activity, a platform is useless. Thus, Mobu is initiation the activity through its own efforts. Mobu is going to utilize its development to exemplify the value of security tokens to provide people with access to common investment outlets by tokenizing a gas station. It will also display the value of STOs for technological ventures by tokenizing a drone-managed crowdfarm and an FX company. The need to display the feasibility of STOs is important. Mobu’s move to leverage its own technology to display the benefits security tokens can provide is the right strategy to bolster STO growth. Yes, I agree! Cryptocurrency market is moving from ICO to ITO and STO because they are expecting a lot of more opportunities from these terms. I am more and more convinced that the STO will be the vanguard of the new stage of cryptography, hopefully future news on these. This is a great news, thanks for this updates. I think that STO will create a greater commitment and generate greater trust among investors of different levels, this is an excellent post, thank you very much for sharing the information. This is very exciting. I'm proud to be South African again..
You're showing some great opportunities that is most vital in this present situation. Glad to know Mobu is the first growing ICO industry..
Bitcoin has changed the way we send money online, and the cryptocurrency market as a whole. STO vs ICO? They both have positive and negative things in their own field. It's still in the investors own volition on which they are willing to risk. I only just stumbled across it, as South Africa caught my eye in the title, as I am from South Africa, great to see the guys getting into the game with what seems to be a sound project. Would you personally recommend Mobu over Polymath or Smart Valor? I had a question .